Published: Oct. 21, 2018 at 04:41 p.m. The Baltimore Ravens recover a New Orleans Saints' fumble as Saints running back Alvin Kamara can't handle the pitch from quarterback Taysom Hill. Published: Oct. 15, 2017 at 03:34 p.m. 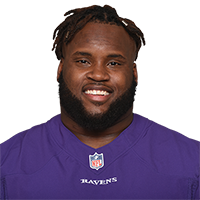 The Ravens defense gets the big turnover it needed; Weddle forced the fumble and Baltimore's defensive tackle Michael Pierce recovers. Published: Oct. 9, 2016 at 02:35 p.m. The Baltimore Ravens stop the Washington Redskins on 4th & 1. Published: Sept. 1, 2016 at 09:16 p.m.
Baltimore Ravens defensive lineman Michael Pierce recovers New Orleans Saints quarterback Luke McCown's fumble for a touchdown.